WC in Fields are a leading supplier of portable toilet units and showers for public events, music events, mountain bike events and even private functions such as weddings, barbecues or garden parties, throughout south-west Scotland and Cumbria. With over 23 years' experience, WC in Fields is an integral partner in helping you plan and provide the cleanest, most efficient toilets and showers for your customers or visitors. The WC in Fields name is on our toilets, so our reputation is on the line. That’s why we ensure that our standards of cleanliness and hygiene are high throughout your event. 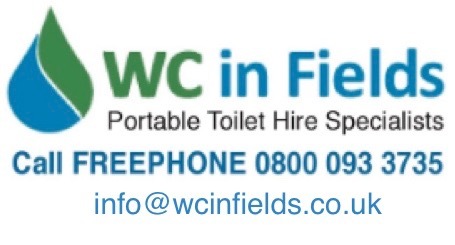 Call WC in Fields today on FREEPHONE 0800 093 3735 or 01557 428 091 for more information, email info@wcinfields.co.uk or click through to our contact form below.